Before Westfield and Hammerson, or Brick by Brick, there was CCURV. Central Croydon is in the midst of some major redevelopment work, much of it involving council-owned buildings and land. The status of much of the development, what the planners called the Croydon Council Urban Regeneration Vehicle, was a matter of much secrecy and mystery, with Croydon Council refusing to release full details of its contracts with the developers. Even a change of political control at the council in 2014, and the imminent demise of CCURV, failed to “blow open the books” on the doomed scheme, which delivered little benefit to the residents of the borough, but boosted developers’ profits. What was known was that overall the scheme cost at least £450 million and that the centrepiece is a council “Hub”, a “flagship new headquarters” building to replace the 1960s megalith that is Taberner House. The council claims that the grand project is “zero cost” to Council Tax-payers. Yet we also know (no thanks to the council’s own press office) that extensive amounts of council property have been handed over to the developers, in return for a half-share in any profits, while Croydon has borrowed £140 million from central funds to enable the developers to progress, which local residents will be paying interest on until the middle of the 21st century. Prompted by insistent demands from a certain Croydon Council press officer, who questioned where we had obtained our information about the £450 million council Hub, here, as a handy reference resource, is a collection of links to various press releases, reports and documents. Plus links to a few of Inside Croydon‘s own opinion columns and articles. “Publicly-owned assets are not being sold off as some suggest. Instead, through a 50-50 partnership with an investor, our intention is to maximise the potential of what is currently pretty low value property. This will spark a new chapter of town centre regeneration, bring improved civic amenities, and generate much better value for residents and taxpayers.” Click here to read letter in full. “Croydon Council has selected John Laing Projects and Developments as its preferred partner for a £450m regeneration. John Laing beat competition from Land Securities Trillium to be selected as Croydon Council’s partner to redevelop four council-owned sites and build the council a new headquarters.” Click here for the full report. Report of £19.2m purchase of Davis House (Sep 2008). Councillor Pollard: “If the URV proceeds as expected then the financial exposure will be negligible.” Click here for the full report. “John Laing plc and Croydon Council have today formed a partnership to deliver a pioneering Local Asset Backed Vehicle (LABV) – a £450m joint venture to regenerate significant sites across Croydon town centre and deliver new flagship council headquarters.” Click here for the full release. “King Sturge Financial Services Limited has been the lead advisor to Croydon Council in setting up a pioneering Local Asset Backed Vehicle (LABV) between John Laing plc and Croydon Council. The £450 million joint venture will regenerate significant sites across Croydon town centre and deliver new flagship council headquarters.” Click here for the full release. “John Laing and Croydon Borough Council have today formally signed a partnership to create a £450m local asset backed vehicle to regenerate significant sites across Croydon town centre and develop a council headquarters. “The council said that ‘as part of Croydon Council’s regeneration aspirations, the urban regeneration vehicle (URV) will deliver sustainable facilities to benefit the entire community supporting its ambitions to become London’s third city; the hub of living, retail, culture and business in south London and south east England’.” Click here for the full report. Report from Sitelines (2008). Click here. Press release from Eversheds (2008). “International law firm Eversheds has advised the London Borough of Croydon on its partnership with John Laing to create a £450m local asset backed vehicle to regenerate significant sites across Croydon town centre and to re-provide the Council’s headquarters. Croydon Council is the first local authority to utilise this model of an asset backed public private urban regeneration partnership.” Click here for the full release. “The new ‘public service hub’ will be built in Fell Road by development partners John Laing and replace the existing council headquarters… The development is part of the council’s Urban Regeneration Vehicle, a £450m partnership between John Laing and Croydon Council.” Click here for the full report. “Croydon Council and John Laing have received planning consent for the first scheme within their £450m urban regeneration vehicle. The planning committee has resolved to grant consent for a 390,000 sq ft public service hub in Croydon town centre that will be used by the council as its new headquarters.” Click here for report. 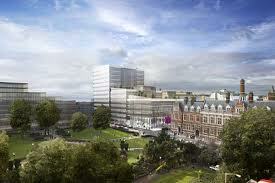 “Croydon Council has cut development partner John Laing out of receiving profits from its new £145m headquarters. The council has been forced to borrow Government money to construct its new HQ in Fell Road, after the firm discovered the best loan rate it could find would push the new building £97.5m over budget. 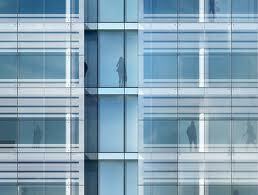 “A shroud of secrecy still remains over Croydon Council’s decision to borrow £145m to build its new headquarters. The council was accused of brokering the controversial Urban Regeneration Vehicle (URV) partnership with developer John Laing, without transparency or proper democratic accountability, at an emergency council meeting to discuss the issue on Monday.” Click here to read the report in full. The regeneration benefits are likely to be negligible given the volume of decaying vacant property across Croydon town centre. Had the council considered a joint development with Minerva and taken floors in the St George Walk, SeeGas / Ellis House development facing the Town Hall, that might have made a difference. Place 3,000 mainly female staff on top of a primarily retail development and it suddenly becomes very attractive to the likes of John Lewis (there was a council officer who raised this idea but it failed to be included in the reports). For Laings, it has been a life saver as they, other with other major developers at the time, had abandoned riskier regeneration projects across the region. It has provided them with almost risk-free cash flow to weather the recession. In the end Croydon Council has ended up with a sterile facility actually quite distant from the community, tucked behind the Town Hall and Davis House, when it could have made Katherine Street a focus for civic amenities. No doubt it looks good on someone’s CV.